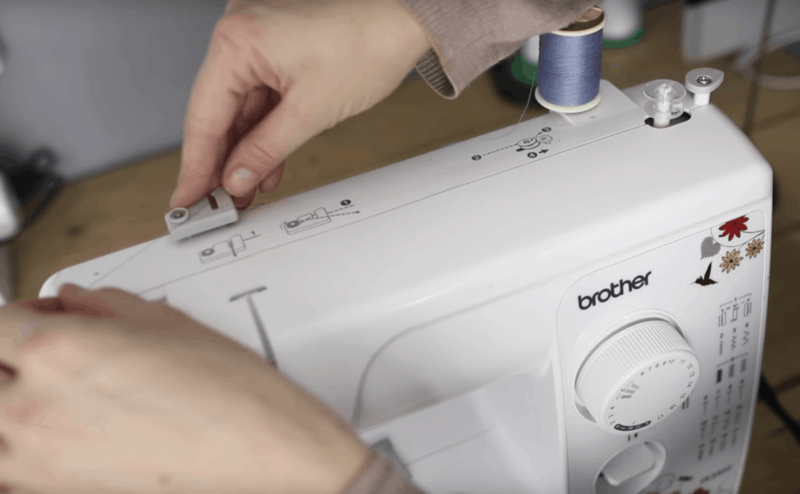 Learn how to thread a bobbin for your sewing machine with simple, clear instructions. 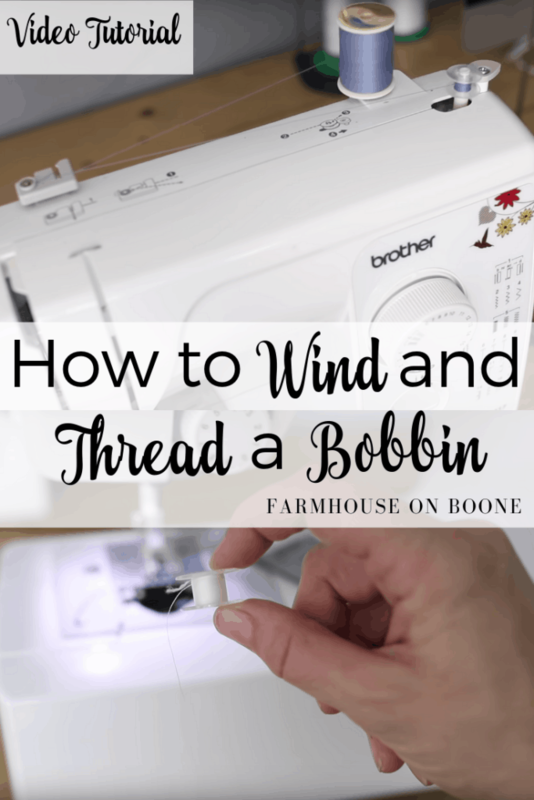 How to wind the bobbin and how to thread the bobbin starts at 6:59 in the video. 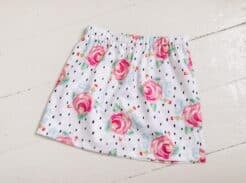 Turn on the sewing machine. 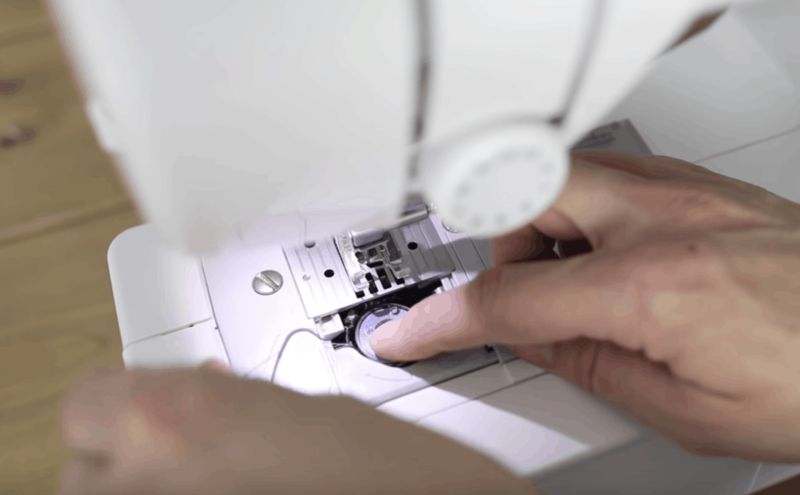 Usually there it is switch on the right side of your sewing machine. Place your spool of thread on the spool pin. 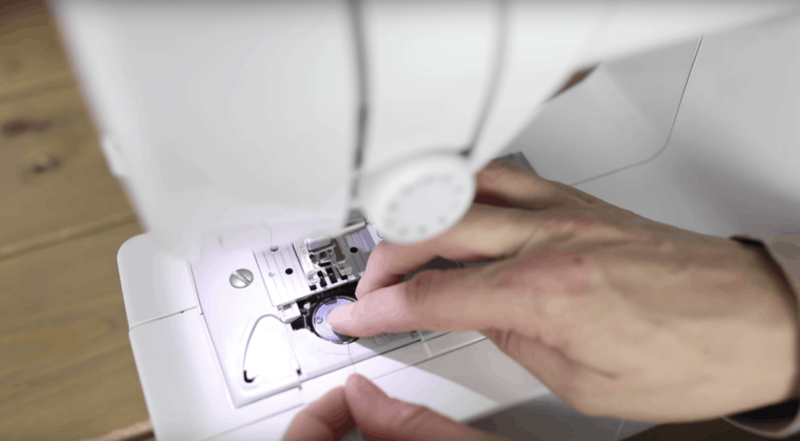 Usually, it is near the back of the sewing machine on the right side of the sewing machine and closer the middle of the sewing machine. 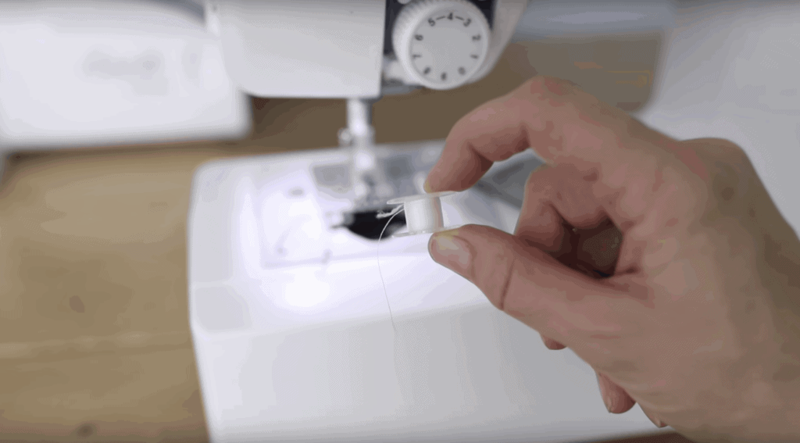 Next, place an empty bobbin holder on the bobbin pin on the right side of the sewing machine. 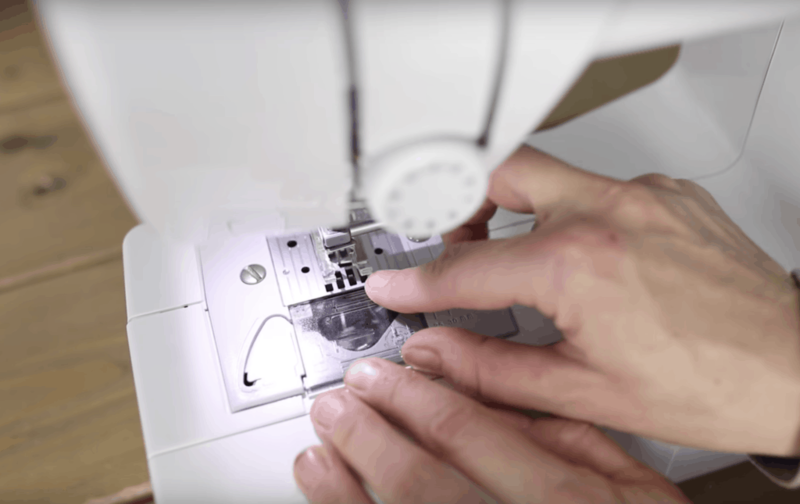 Usually, it is near the front of the sewing machine. 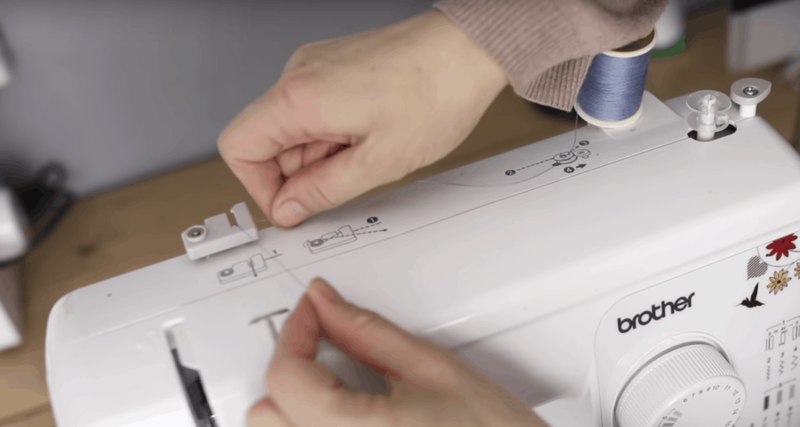 Note: Your sewing machine should have a guide printed on the sewing machine, so you can look at that if your sewing machine looks a little different than mine. 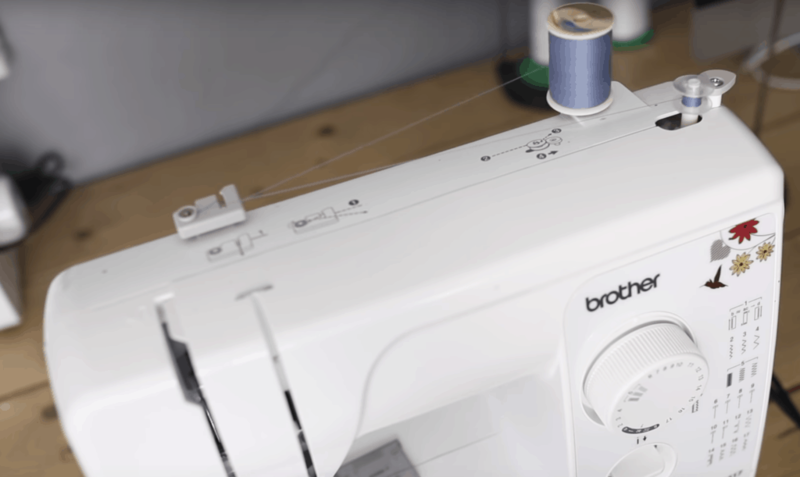 Pull the thread from the spool of thread across the sewing machine and loop it through the loop of the top of the sewing machine. Then, wrap it around the disk counter-clock wise. 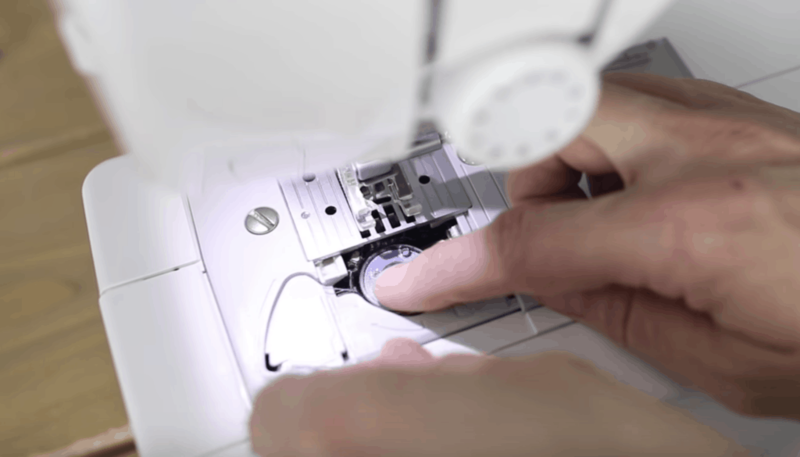 Pull the thread across to the right side of the sewing machine and pull it through the hole on the top of the bobbin. Trim of excess bobbin thread with scissors. You want at least 3 inches of extra thread so that you can hold onto it later. 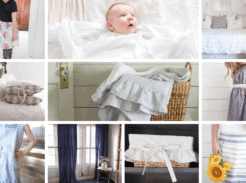 Push the bobbin rod over to the left with your fingers. Hold onto the extra string of thread (about 3 inches) while you gently press down on the peddle. 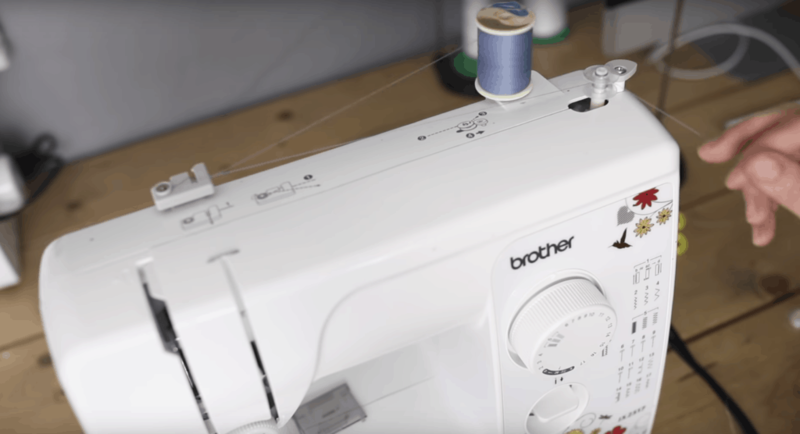 Once there is a little bit of thread on the bobbin, you can let go of the thread you are holding and it should wind into the bobbin. 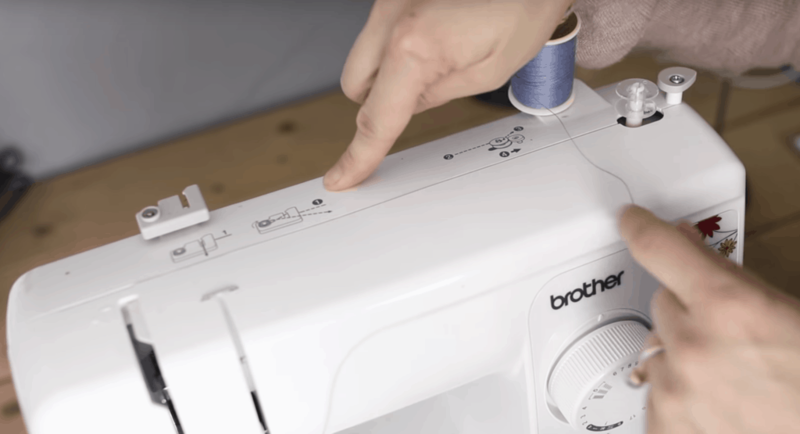 Once the bobbin is full, take your foot off the peddle and push the bobbin rod back over the right side of the sewing machine. Take the bobbin off the bobbin pin and cut the tie between the spool of thread and bobbin. 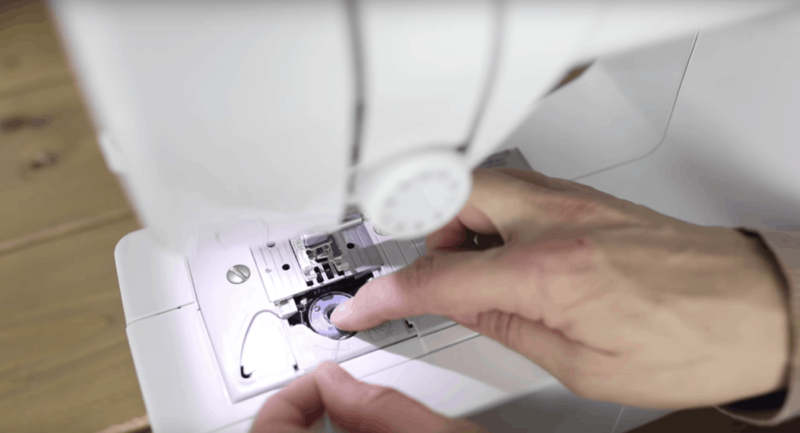 First, take the plate off of sewing machine by pressing down gently and pulling back towards yourself. Note: This is the part that might be a little different on your machine depending on what brand and model you own. Basically though, you just place the bobbin in the bobbin holder and wind the thread around the loop in the bobbin holder. Then wrap it around the outside of the bobbin holder, and cut off the extra thread at the bottom. Place the plat back over the bobbin, by placing it halfway over the bobbin and then sliding it back into place. And that is it. It really is that simple! 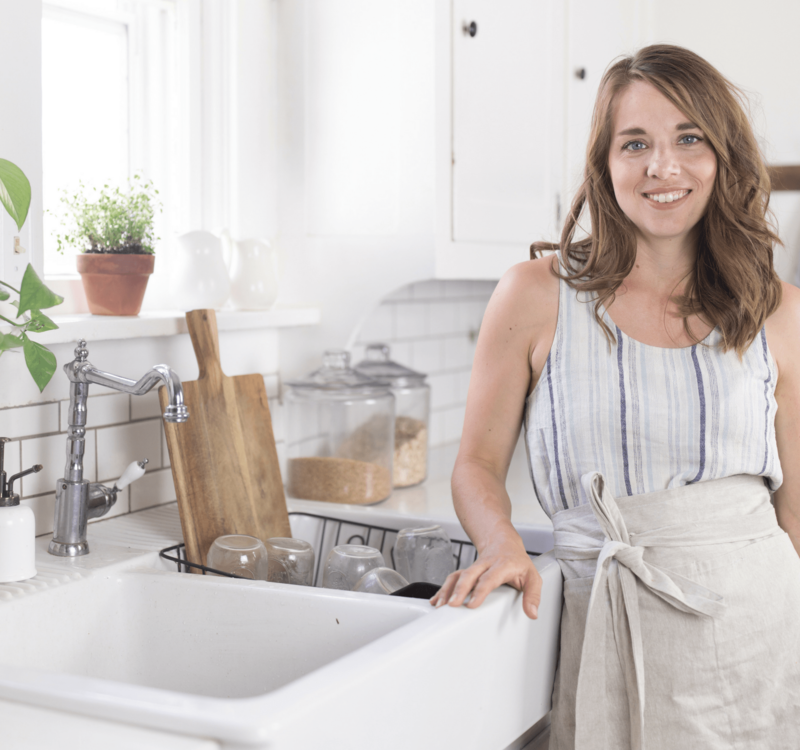 Keep in mind, this may look different on your machine.